Your prayers to SHIRDI SAI BABA : Prayer List for Shirdi Sai Spiritual Group Prayers on Thursday after Dhoop Aarati – 18:30 hrs on 17th November 2016. Prayer List for Shirdi Sai Spiritual Group Prayers on Thursday after Dhoop Aarati – 18:30 hrs on 17th November 2016. ​​Prayer List for Shirdi Sai Spiritual Group Prayers on Thursday after Dhoop Aarati – 18:30 hrs on 17th November 2016. Sai g please save me from depression . Sai g please make me mentally strong. 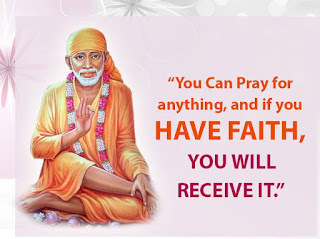 please dear devotee pray for me,please pray baba to make my married successful. I don't want divorce nor I want to live separate like this.please reunite me with my husband,baba. please pray for me devotee…. Sai g please help me. Sai g please give me strength to come out of depression. Sai g please please help me. Is it too hard for YOU Baba, to bring a justice for a fatherless and brother less child of YOURS! 4 years passed by. The wrongdoer got all the marital bliss, from marriage to fatherhood. Now nurturing parenthood at Coimbatore and Chennai city. We are yet to receive any justice. I convey my deep heart blessing to all devotees who shall pray for making my mother scan results cancer free next Monday 14 Nov 2016 when she will visit the doctor.